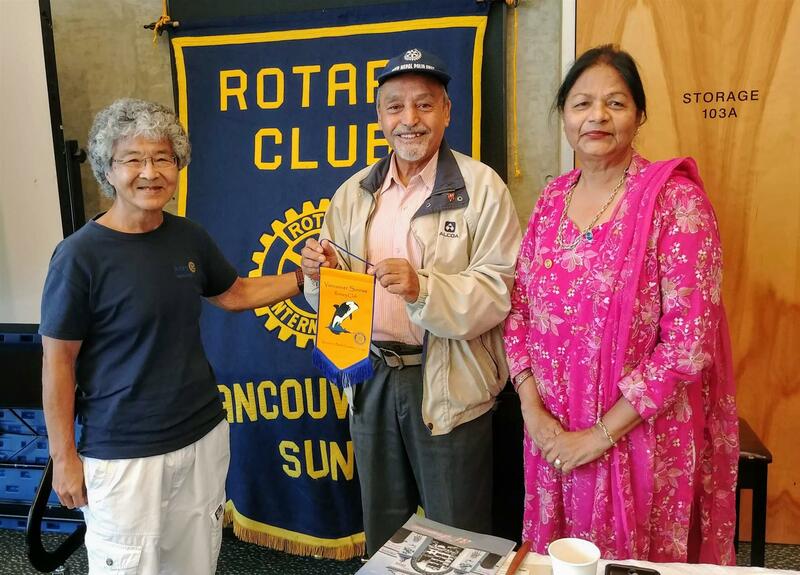 This week we welcomed 12 members and 4 guests, Mitra Tan, Kathy Chou and Rotarians Kamala and Pandam Lall Maharjan from the Rotary club of Patan, Nepal. * October 14th our club to volunteer at a Pancake Breakfast. Jonathan has booked Salvation Army Food Truck with built-in grill all food donated, Strathcona Chef and Breakfast Buddies Cooking our club will cut up fruit and serve pancakes to the runners. Diana invited us to focus on the various financial obligations that come with membership to our club. We are asked to be creative and try to come up with ways to try to assist those potential members who may find these obligations as a hurdle to overcome. 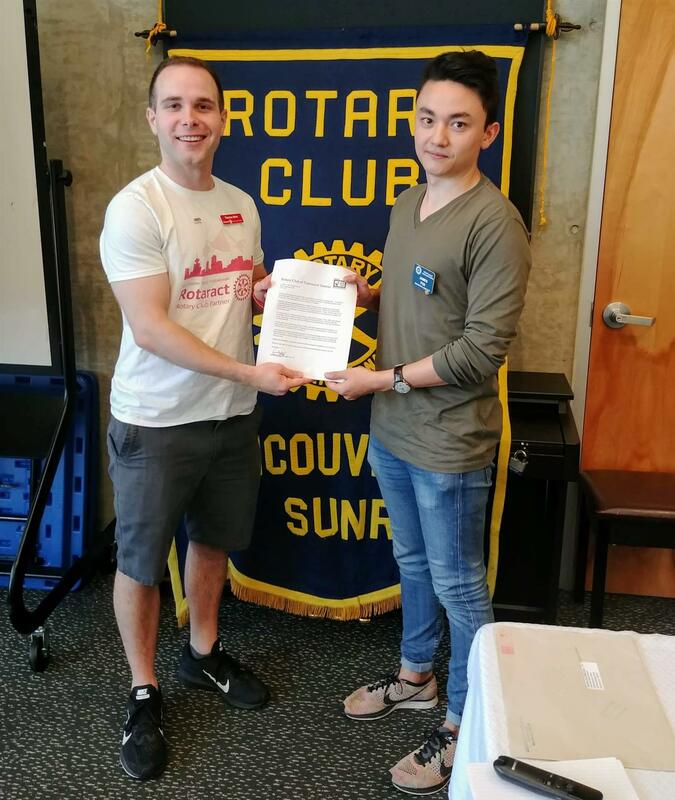 Today our guest speaker was Thomas Miller, President of the Vancouver Young Professionals Rotaract Club. He attended the 2018 RYLA North America Conference. The RYLA Conference in North America is an intense leadership training program that is designed to recognize, encourage, and further develop the leadership skills of 18-35 year olds who have shown a potential for rendering important service to their local communities. All Rotaractors, non-Rotaractors, RYLA alumni, former Youth Study Exchange, former Group Study Exchange alumni, former Ambassadorial Scholar alumni, former Interactors and former Peace Scholars between the ages of 18-30 were able to participate in the conference.